Half-storytime, half-lab in which we explore the principles of electricity and magnetism. Assortment of nails, screws, springs, bolts, etc. -Make Squishy Circuit dough (both conductive and non-conductive). -Read up on how Squishy Circuits work, so that you can adequately give verbal instructions to children and their parents at that station. -Test battery holders and LEDs with the squishy circuit dough a couple days before the program to ensure that everything works. -Make magnetism flannels (see Special Instructions and Procedures below for details). -Cut a large rectangular hole in one side of each cardboard box that you will use for magnetic painting. -We recommend creating a powerpoint presentation that has all the song lyrics on it. If you don’t do this, we would recommend creating a handout for the parents to follow along with and take home. 3. Brainstorm: What is electricity? What kinds of things use electricity? What happens if the electricity goes out in your house? Where does electricity come from? Have you ever used a magnet? Where? What do magnets do? What kinds of things stick to magnets? I can be very strong. That are attracted to me. Are pushed and pulled by me. Will you stick to today? Will you stick to a cat? and on to you and me. And turns the power on. until we turn them off! We used two laptops and two MaKeyMaKey sets for this station, so there wasn’t a long line of kids (and because we have two MaKeyMaKeys). We used this MaKeyMaKey Piano on the Scratch website, and simply hooked up the alligator clips to the corresponding arrows, space key, and click button on the MaKeyMakey board and then connected them to the bananas. Then, we hooked up the alligator clip to the Earth part of the MaKeyMakey board and connected the other end to a lime. Make sure you turn the sound way up on the laptops! It will also help if the kids use more than one finger to touch the banana (2-3 fingers or the whole hand works best). We made our conductive dough green for “go,” and the insulating dough red for “stop.” A nifty mnemonic device, indeed. In lieu of an instructional sheet, it is extremely helpful to have someone man this station to ensure that everything runs smoothly and safely. Have the children put on safety glasses if you have them–just in case. Verbally take them through the basic instructions (which you can learn from the Squishy Circuits website or their classroom guide). Be sure to tell them to only hold the covered parts of the red and black wires, and to NEVER touch the metal ends. The idea here is to place a piece of regular printer paper on top of a box or plastic drawer. The child uses safety tweezers to extract nails, springs, scre ws, etc from a cup and dip them into bowls of washable paint. They place the paint-dipped metal pieces onto the paper. Then, they use magnetic wands underneath the box or drawer to move the metal pieces around the paper. Voila! A painting done with magnets! Cleanup involves using the safety tweezers to pick up the metal pieces and drop them into a bowl of water, then swishing them around in the water. Pull out the pieces, pat them dry with a paper towel or dish rag, and put them back into the cup. It’s helpful to have someone monitoring this station to instruct people in what to do, refresh the bowls of water, and assist in the cleanup process. We use this station in our “Hands-On Science Museum.” Because of this, we only had one plastic storage drawer with the drawer removed, as well as a custom-built magnet wand (wooden with two large bar magnets in it). To minimize waiting during our Lab Time, we set two cardboard boxes upside down and cut a large rectangle into the side of each. We then used magnet wands to move the metal pieces. We found that it was helpful to stack two magnet wands together to more easily move the pieces on top of the cardboard. Most of this station consisted of magnetic toys that we use as part of our Hands-O n Science Museum. 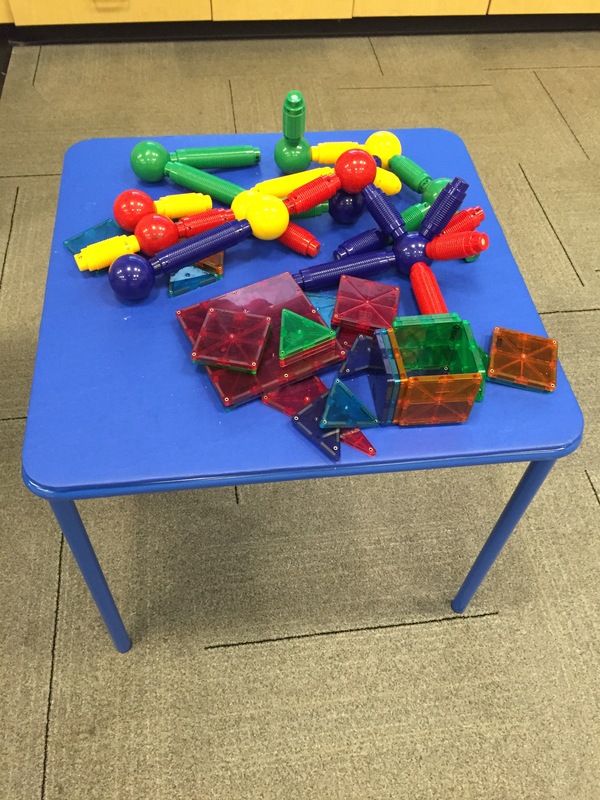 This includes Magna-Tiles and a Mega Magnets Construction Set put together on one table, and a Magnet Discovery Board and these three Magnet Discovery Centers on a longer table. We also included a glass of water with a handful of paperclips in it alongside a magnet wand, which kids could use to see if magnets can pull metal through water. It is mesmerizing (albeit a little messy)! The inspiration for this project came from Tinkerlab. Really, any combination of magnet exploration activities you can find would work here–there is no need to buy the expensive magnet gadgets if you don’t have another need for them. Just putting out a variety of magnets and metallic/non-metallic objects would suffice. 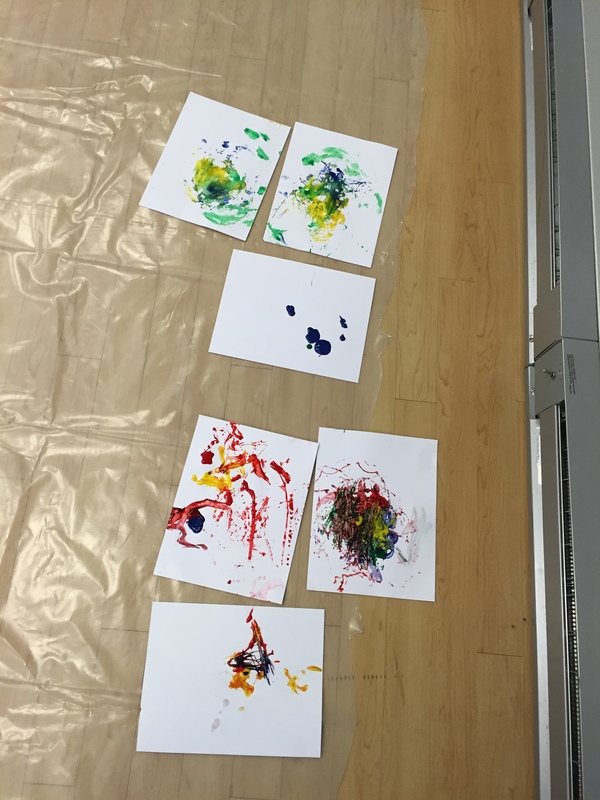 Diary of a Preschool Teacher: It’s Electric! This went better than expected. Magnets are easily understood by this age group, but explaining electricity is a different kind of beast. Though hesitant about presenting this complex subject with 3-6 year olds, the combination of reading and talking through “Plug It In! Learn About Electricity,” and reiterating the concepts through our electricity song seemed to work well–at least for the older kids in the group. Despite the fact that this was our second time doing Squishy Circuits in a program, and despite the fact that we tested the dough before the program and tested the newly purchased battery holders just before the program, Squishy Circuits 100% absolutely would not work during this program. We believe something happened to the ends of the wires, but it was nothing that could’ve been fixed right then and there. The moral of this story is to not only test everything several times, but to have multiple battery holders on retainer if you want to do this activity. The kids still liked playing with the dough (who doesn’t? ), but it was disappointing to us. We would definitely not recommend this program for a younger audience, since there are significant choking hazards involved. We have done electricity and magnetism programs with older audiences, which are good options concerning these topics for older audiences.